description: Porcelain enameled neon sign in the figure of a mortar and pestle. Double sided with white neon outline and a red neon Rx. 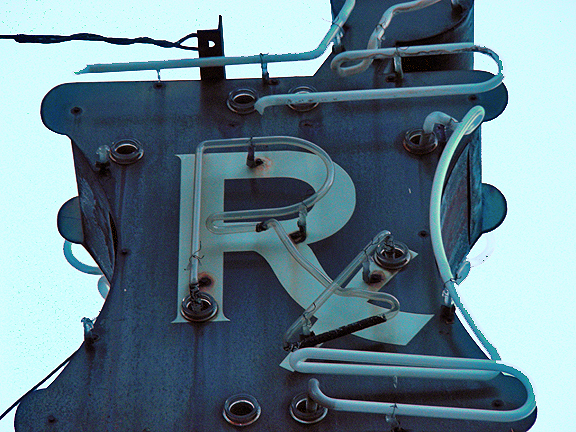 information: Originally from Kean Drug Company, 2 North Euclid Avenue, St. Louis, Missouri. Bernard & David Kean druggists and owners.